An online petition is pushing for more options, but Superintendent Guerrero says he will work to ensure middle grade students will still get to have it all. More than 1,300 people have signed an online petition to keep Portland Public Schools' middle schools on a seven-period day to ensure "equitable access to high-quality curricular music programs." The petition, started by a group called Portland Friends of Music, says the district's move to implement state laws around physical education and health instruction will restrict elective opportunities — particularly for students with "electives" such as a language immersion program, English language instruction or academic supports. But Superintendent Guadalupe Guerrero — who in his younger days was an English language learner as well as an orchestra student — says the petition is based on misinformation. "How do we fit it all in? You can still," he said, noting that principals still have the ability to arrange class schedules in each school to fit their communities' needs. "We haven't taken anything away. All we've said is you have to comply with state law." The district is using a new funding model, which allocates teacher dollars based on a six-period day. But Guerrero says principals are still free to implement A/B schedules, seven-period schedules, double-block core classes in an immersion program, or whatever else is needed to fit in electives. Sellwood Middle School parent Eilidh Lowery, a spokeswoman for the Portland Friends of Music, said she's worried about the kids from several school communities who she says will miss out. 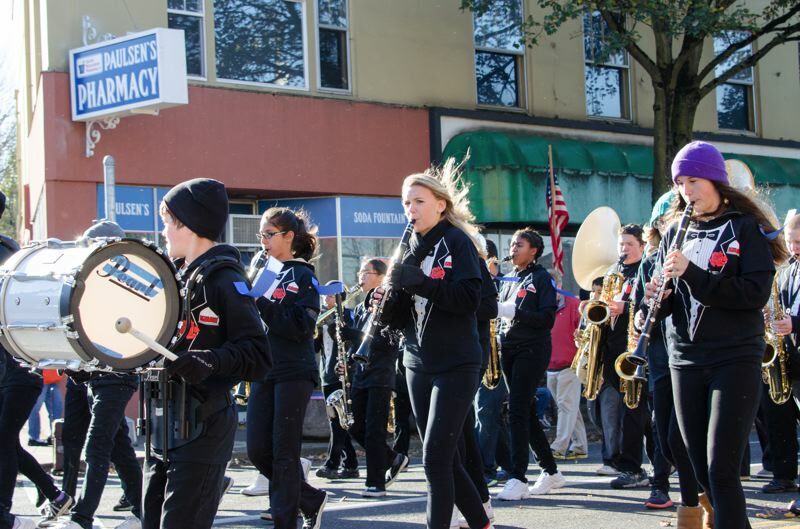 "As of this fall, Rigler will be an immersion-only school, which means none of the kids from Rigler who go to Beaumont will have access to band, unless they leave the immersion program," Lowery said. District spokesman Harry Esteve acknowledged that's true in this case. But, he added, "It's not necessarily the case districtwide, and it may change a year from now as we continue to work on meeting state P.E. and health requirements and ensuring access to electives as much as possible." Following a state law passed in 2007, which is slowly being phased in, all districts must provide P.E. instruction to K-8 students. The law was a priority of Senate President Peter Courtney, D-Salem. Guerrero says he also has strong feelings on the necessity of health education — including human sexuality, drug addiction avoidance and social media responsibility — which he sees as an equity issue. "It's not OK for me as the superintendent to know that a young person is not going to get health ed until their sophomore year of high school," he said. Lowery says she supports the district's attention to P.E. and health, but she is still concerned. "Requiring a quarter of P.E. and a quarter of health in a six-period instructional day is not in the mandate. Making the changes to middle school schedules without communicating with parents, teachers, administrators and the wider community is not in the mandate. Eliminating elective choice for our most vulnerable students is not in the mandate," she writes in an email statement. Lowery's seventh grade daughter takes both Spanish and music and she is struggling to decide which one to give up next year. "If she gives up band, she will lose the discipline and creative expression of the program, as well as the bonding of shared experience that has helped her find belonging in the awkward years of middle school," Lowery said. "If she gives up Spanish, she will have to restart in high school, spending a year reviewing the material she has already learned and losing some of the ability and enthusiasm for language that she has found this year." The Oregon Department of Education is convening a work group that will provide recommendations in November on how to implement the 2007 law. Lawmakers gave the state an extension when the overwhelming majority of districts weren't able to meet the original 10-year deadline. 2019-20 — Elementary schools must meet 120 minutes per week for P.E.